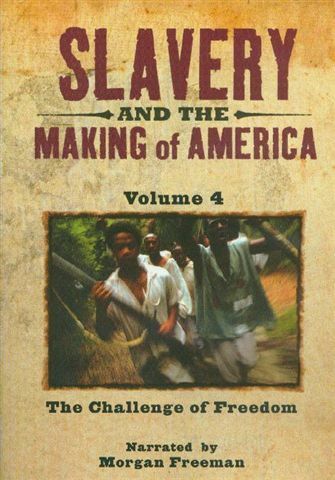 To watch the film, click on the link entitled “Slavery and the Making of America Pt. 4“. 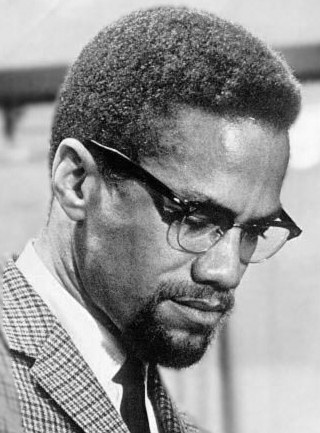 The following film entitled “The Covert War Against Malcolm X” is a series of interviews of Malcolm X’s closest partners, who were with him during the later part of his life. They explain the new mission that Malcolm X was on after his expulsion from the Nation of Islam, why it made him more of a target to the FBI, and the FBI’s efforts to assassinate him. Below is a documentary entitled “In the Name of God”. The film is about Rome’s crusade in Rwanda, which started with Rome’s priests teaching Catholicism to the Tutsis, who were the elite tribe in Rwanda. Rome then made the Tutsis the ruling class of the country. The Tutsis ruled according to the authority, and dictates of Rome’s priests, and bishops. In this way, Catholicism ruled over the country, until the Tutsis tribe liberated themselves from the rule of the Catholic Religion so that they could govern themselves. Rome’s retaliation toward the Tutsis’ rebellion was to convert the Hutus, which were oppressed by the Tutsis, and taught them to commit holy war against the Tutsis by killing everyone in the tribe; men women, and children, and to reestablish Roman Catholic rule over Rwanda; thus making the Hutus the ruling class. This crusade was led by Rome’s bishops, priests, and nuns, and killed more than 800,000 Tutsis over a 3 month period, in which the U.S, and the U.N., did nothing to stop it. To learn more about this well documented case of genocide by the hands of Rome, click on the links entitled “Innocent Blood“, and “Genocide of the Tutsis – the Role of the Roman Catholic Church“. For any practising Catholic in Rwanda, this letter must be unbearable. For it tells you how little you mean to the Vatican. 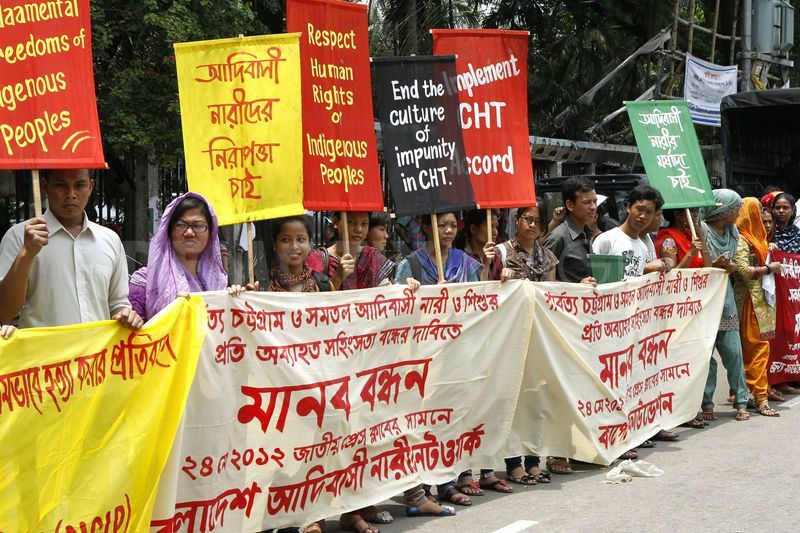 Fifteen years ago, tens of thousands of Catholics were hacked to death inside churches. Sometimes priests and nuns led the slaughter. Sometimes they did nothing while it progressed. The incidents were not isolated. Nyamata, Ntarama, Nyarubuye, Cyahinda, Nyange, and Saint Famille were just a few of the churches that were sites of massacres. 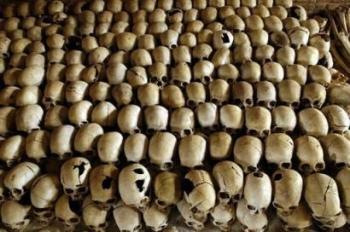 The losses of Rwanda had received no such consideration. Some of the nuns and priests who have been convicted by Belgian courts and the International Criminal Tribunal for Rwanda, respectively, enjoyed refuge in Catholic churches in Europe while on the run from prosecutors. One such is Father Athanase Seromba, who led the Nyange parish massacre and was sentenced to 15 years in jail by the tribunal. In April 1994, Seromba helped lure over 2,000 desperate men, women and children to his church, where they expected safety. But their shepherd turned out to be their hunter. One evening Seromba entered the church and carried away the chalices of communion and other clerical vestments. When a refugee begged that they be left the Eucharist to enable them to at least hold a (final) mass, the priest refused and told them that the building was no longer a church. A witness at the ICTR trial remembered an exchange in which the priest’s mindset was revealed. One of the refugees asked: “Father, can’t you pray for us?” Seromba replied: “Is the God of the Tutsis still alive?” Later, he would order a bulldozer to push down the church walls on those inside and then urge militias to invade the building and finish off the survivors. At his trial, Seromba said: “A priest I am and a priest I will remain.” This, apparently, is the truth, since the Vatican has never taken back its statements defending him before his conviction. 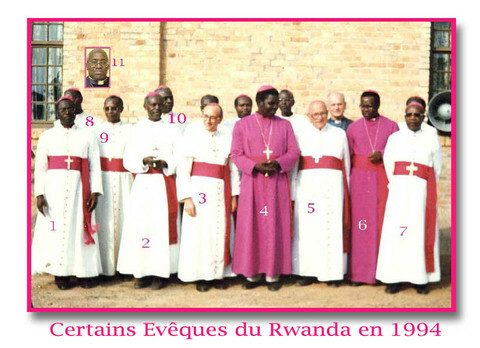 In the last century, Catholic bishops have been deeply mired in Rwandan politics with the full knowledge of the Vatican. Take Archbishop Vincent Nsengiyumva. Until 1990, he had served as the chairman of the ruling party’s central committee for almost 15 years, championing the authoritarian government of Juvenal Habyarimana, which orchestrated the murder of almost a million people. Or Archbishop André Perraudin, the most senior representative of Rome in 1950s Rwanda. It was with his collusion and mentorship that the hateful, racist ideology known as Hutu Power was launched – often by priests and seminarians in good standing with the church. One such was Rwanda’s first president, Grégoire Kayibanda, a private secretary and protege of Perraudin, whose political power was unrivalled. 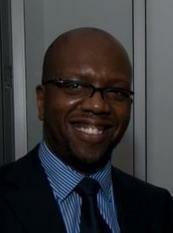 The support for Hutu Power was therefore not unknowing or naive. It was a strategy to maintain the church’s powerful political position in a decolonising Rwanda. The violence of the 1960s led inexorably to the 1994 attempt to exterminate Tutsis. These were violent expressions of a political sphere dominated by contentions that Hutu and Tutsi were separate and opposed racial categories. This, too, is one of the legacies of the Catholic missionary, whose schools and pulpits for decades kept up a drumbeat of false race theories. This turning away from the Rwandan victims of genocide comes at a time when the Catholic church is increasingly peopled by black and brown believers. It is difficult not to conclude the church’s upper reaches are desperately holding on to a fast-vanishing racial patrimony. Perhaps it is time Catholics forced the leaders of their church to deal with a history of institutional racism that endures, if the church is truly to live up to its fine words. Apologies are not sufficient, no matter how abject. What is demanded is an acknowledgment of the church’s political power and moral culpability, with all the material and legal implications that come with it. The silence of the Vatican is contempt. Its failure to fully examine its central place in Rwandan genocide can only mean that it is fully aware that it will not be threatened if it buries its head in the sand. While it knows if it ignores the sexual abuse of European parishioners it will not survive the next few years, it can let those African bodies remain buried, dehumanised and unexamined. This is a good political strategy. And a moral position whose duplicity and evil has been witnessed and documented. For, it turns out, many people, scholars, governments and institutions inside and outside Rwanda are excavating their own roles in the genocide. The Vatican stands as an exception, its moral place now even lower than that of the government of France for its enduring friendship with genocidaires. 15 And the LORD said to me, “Next, take for yourself the implements of a foolish shepherd. 16 For indeed I will raise up a shepherd in the land who will not care for those who are cut off, nor seek the young, nor heal those that are broken, nor feed those that still stand. But he will eat the flesh of the fat and tear their hooves in pieces. On todays program Brannon discusses the dangers of collective salvation, group consensus, existentialism and how the false church in Nazi Germany embraced these ideas and how they are being embraced again by a rising, global, false church. Martin Heidegger was the First Nazi Rector of a German University. Martin Heidegger was influenced by Søren Kierkegaard and Kierkegaard also influenced the false church with his belief in subjective truth. Heidegger promoted deconstructionism in Germany and when he joined the Nazi party he aided the Nazi party in teaching the idea of community and collective salvation to the false church in Germany. Heidegger helped to indoctrinate the church in both existentialism and the idea of collectivism, group consensus, and denial of the value and worth of the individual. These philosophies helped to lay the foundation for the Nazi holocaust. How have postmodernism, existentialism, and collective salvation come into the modern church today? What serious consequences could result in todays world from these dangerous philosophies? How do the New Religious Right and Religious Left embrace group consensus and collective salvation albeit in different forms? To listen to the program, click on the link entitled “The Collective Salvation of the Superior Group“. Another influence from the grave is the writings of Jane Lead. Particularly her 1679 prophecy of the “Philadelphian Church“, which has been adopted, in part, by the New Apostolic Reformation, the Latter Rain Movement, the Vineyard Movement, and IHOP. The key character traits of these two movements is the emphasis on the importance of collectivism through, around-the-clock, group prayer meetings for the purpose of coming under the control of the Holy Spirit, whom, they claim, desires to use them to perform signs and wonders on a scale so great that it would convert the world to Jesus Christ, and also cause Christ to return to the earth through their elite church, which would also become gods, and would be so powerful that the earth would be restored by the power of this elite church. This experienced-based, false church, as seen with IHOP, has no tolerance for sound doctrine, and instead, desires to know God through the senses, apart from Scripture, and seeks after signs and wonders, because the gospel of Christ isn’t enough for them, and adherents to the written word of God are even seen as those who follow dead religion. This perspective automatically causes this elite church to see the true church, that desires to follow the God of the Bible, rather than the strange doctrines, and practices, derived from experiences , as false, dead, and as salt that has lost its savor. Nevertheless, it is the wicked generation that seeks after a sign, and refuses to seek, and obey, the written word of God. What is required of the church during this time of promoting the fallacy of group consensus, and collective salvation, is to abide in Christ, which means we must study God’s word, meditate on it day and night, and most of all, obey it, even in the face of persecution and death (John 15:3-5, Psalm 1:1-3, Psalm 119:1-8). Just as Noah was the only one preaching, and standing up for the truth, in the midst of his wicked generation, before the flood came, and destroyed the old, proud, world, with its great numbers , who were sure of their collective movement of lawlessness, so the church of Jesus Christ must stand in this evil day, against the principalities, against powers, against the rulers of the darkness of this world, against spiritual wickedness in high places, by standing up for the truth of who God is, and the truth of the gospel (Ephesians 6:10-13). This is done by preaching the gospel to the lost, making disciples of Jesus Christ, teaching them to obey everything that he has commanded those who follow him, and by contending earnestly for the faith, once delivered to the saints, by casting down imaginations, and every high thing that exalts itself against the knowledge of God, and bringing into captivity every thought to the obedience of Christ (Matthew 28:19-20, Jude 1:3-4, 2Corinthians 10:4-5). Christ’s command to his church is to put on the whole armor of God, so that they are able to stand for the truth in the midst of this wicked generation (Ephesians 6:10-18, 1Peter 1:8-20). The church must be willing to stand for the true God, and the gospel, when it is vastly out numbered (Matthew 10:16-40, Matthew 24:9-13). It must be willing to stand up, by the grace of God, under persecution. Christ church must be willing to be rejected by this sinful world, and separated themselves from the false prophets who are promoted by the mainstream Christian media (Luke 6:26, Matthew 5:10-16). It must separate itself from the ecumenical practices of the New Religious Right (2Corinthians 6:14-18, 1John 2:3-6, 1John 5:18-21). The power of God in the church is its witness of the gospel, through the power of the Holy Spirit, which they have been given in their mortal bodies, to show that it is not by might, nor by power, but by the power of the Holy Spirit that they are able to stand firm until Christ returns (Romans 1:16-17, Ephesians 3:14-21, Corinthians 4:5-7, Zechariah 4:1-6, Hebrews 10:35-38). The church began its mission of gospel proclamation through signs, and wonders, confirming their witness to be from God (Mark 16:17-20, Hebrews 2:3-4). The church has no more need for signs, and wonders, now that the fullness of their faith has been revealed by the written word of God (1Corinthians 13:8-13, James 1:21-25, 2Timothy 3:14-17). Now they must shine as lights in these last hours by their faith, through preaching the gospel, and through the sign of boldness in martyrdom (Daniel 12:3, Daniel 12:7-10, 2Timothy 4:1-5, Revelation 12:10-12). Signs, and wonders, are no longer needed by the true church to affirm their righteousness to the collective, superior group, because they are the just, who live by faith in God’s written word, which promised them resurrection to eternal life, when Christ returns, and judges this world in righteousness (2Thessalonians 1:3-12, 1Thessalonians 4:13-18, Isaiah chp. 26). ISLAMABAD, Pakistan — A Pakistani court ordered the police to withdraw blasphemy charges against a Christian teenager on Tuesday, lawyers said, bringing an end to a contentious case that had gripped the country and sown fear in its Christian minority population. 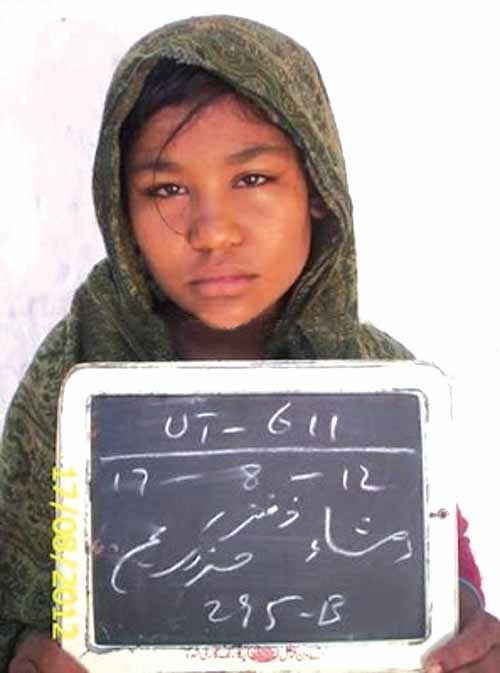 The girl, Rimsha Masih, who comes from an impoverished family of sweepers, was arrested in August after Muslim accusers said she had been holding a burned copy of the Noorani Qaida, a religious textbook used to teach the Koran to children. Relatives and human rights workers have said that the girl, 14, has Down syndrome and should therefore be exempt from the blasphemy laws. On Tuesday, Justice Iqbal Hameed ur Rahman, who heads the Islamabad High Court, stated in his judgment that there was no evidence for the charges against Ms. Masih. In his 15-page judgment, he urged extreme caution in matters related to blasphemy and criticized the practice of fake blasphemy accusations against non-Muslims.